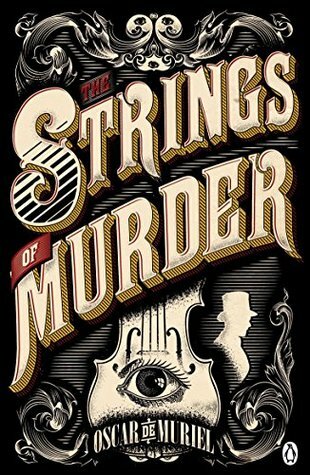 While unpacking a box at work one of my coworkers spotted The Strings of Murder and accurately assumed that I would want to read it. They all know I’m a sucker for a good cover, and adding the premise of a musically involved murder is right up my alley. Synopsis: Inspector Frey has been sent to Edinburgh to uncover the truth behind what looks like a copycat Ripper murder, but it has to be kept quiet from the press so he is assigned to a new division that is ostensibly investigating unnatural and paranormal activities. His new partner, “Nine-Nails” McGray, is a loud and dirty Scotsman who actually believes in all this mumbo-jumbo. The partners must uncover the truth behind this musical murderer before more people die. I really liked the dynamics of the McGray and Frey team. It’s rather uncommon these days to read a book that doesn’t pair a perspective couple, leading to sexual tension that often detracts from the story. This is more of a buddy-cop story, which I appreciated more and more as the two very different men came to see the value in each other. It had a bit of a Sherlock and Watson feel to it, without either of them taking the lead. They each had something of value to bring to the investigation coming from such different backgrounds. I’m not sure what to feel about the ending once everything was all figured out. I had rather wished the killer was someone else. The reasons for such an interesting and nearly unsolvable murder became so easily explained once the details were uncovered. I guess it was just a bit too perfect for my liking. I just like a bit more mystery at the end of my mystery.